Electric Mantis, Nas & Lauryn Hill, Psyentifica, Nanpa Noir, Catching Flies and more. This week I was joined in studio by Catalin Faget; a Mabel Lake based DJ/Producer who works under several aliases and also runs the label Infinity Loop Music. He&apos;s graced stages at festivals such as Shambhala, Motion Notion and Entheos Gathering. 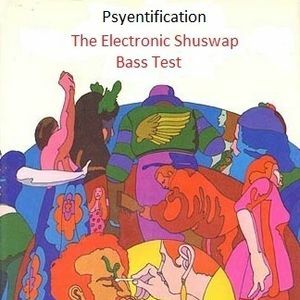 This episode showcases his Psyentifica pseudonym which is a project that features both uptemo and downtempo Psychedelic music. For the first hour and a bit Catalin shares some of current favourite tracks and we chat about all the things you&apos;d expect - the label, his musical history, the BC/AB scene, the definition of Psychedelic music, production, Djing, etc. Catalin also gives a live performance of an unreleased track on his Virtual Analog Synthesizer. We finish with Psyentifica live in the mix - he starts with Psychill / Psydub and moves into Psy Trance. This episode first aired on February, 25 2014.